One of the best video players around, the VLC Player was today launched for iOS devices after a gap of 2 years. Capable of playing almost any video file format including the matroska (mkv) format, the VLC Player had been pulled down from Apple store two years in 2011 due to the DRM restrictions and GPL license issues. The publishers VideoLAN have completely built this version numbered 2.0, from the scratch and is capable of supporting all video types like the PC App. VideoLAN announce that "We worked hard with all major copyright holders to not repeat history and we are confident to have achieved this goal,” VideoLAN has also added that the App will work on any device running on iOS 5.1 and up and is compatible with any iPhone, iPad or iPod touch. However be warned, there is a considerable drag when you play a video which you have recorded yourself on iPhone 5. 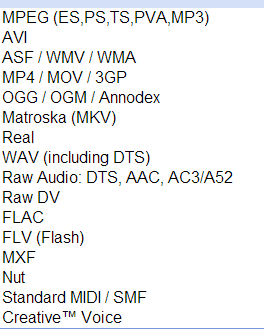 This issue cannot be addressed by VideoLAN as playback since 3rd party video players cannot use the DSP (hardware acceleration unit) included within iOS devices unless they use the MediaPlayer framework. 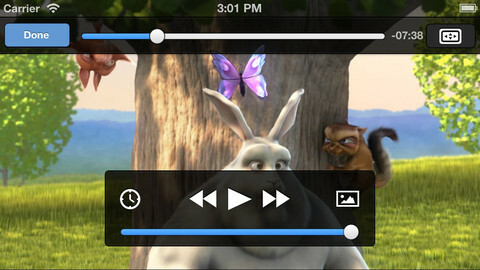 In short this is the best Video Player to have aboard your iPhone or iPad to watch the movies of your choice. You can download the VLC Player for iOS devices from Apple Store here.